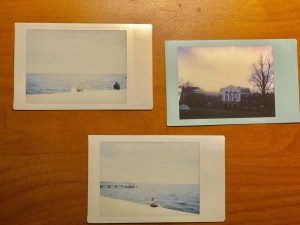 Bringing a instant camera with me is the indispensable choice I have done for my undergraduate life when I was a freshman. I take photos when the weather is sunny, walking along with the lakeshore of Mendota Lake in Madison. It is because that instant camera can produce paper photos quickly. Though digital camera and cell phones are the most popular camera for students to choose now, instant camera makes students more accessible to touch the photos frequently rather than put over one thousand digital photos in Apple Cloud without any browse for many years. That is why I believe it is indispensable for a freshman. You can choose different designs of polaroid! The various designs are beneficial for freshmen to choose according to the theme of picture. 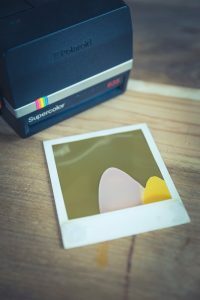 Different from the conventional cameras with a single style, instant camera can choose a wide range of colors and sizes. If it were a good weather after you have got an excellent grade for your first semester’s final exam, it would choose pink or green picture margins when you take photos of Mendota Lake or Education Buildings. Undergraduate time is only four years, seeming like a small part of life. But it provides foundations for every student to society and improves friendship skills. The fantastic memory of youth is irreplaceable to take photos with instant camera for a undergraduate student. No one can leave on sunshine, but instant camera can. There are instant picture in University of Wisconsin Madison I took as below.